El Lloar in Western Priorat – photo courtesy of Turisme Priorat. We all love a bargain, I know that I do. What’s more sometimes you just want a nice, drinkable bottle of wine that makes you happy. Well I have just tried a bottle that does exactly that. The fact that it comes from one of the world’s greatest wine regions is just an added bonus. What’s more it is utterly delicious and delivers outstanding value for money. The wine comes from Priorat, that wild, rugged mountain region of Catalunya in north east Spain. 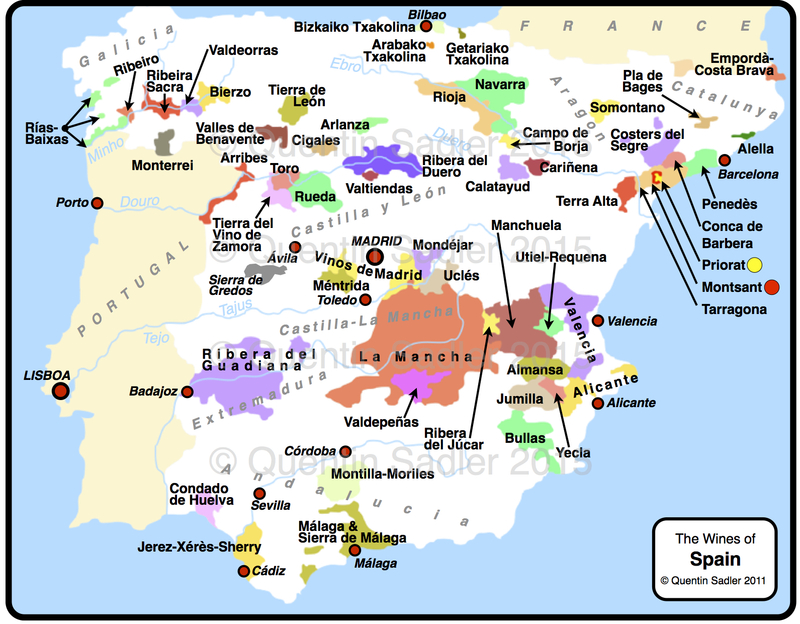 Priorat is a little inland from Tarragona and is one of jut two wine regions in Spain to be awarded the highest quality status of Denominación de Origen Calificada (DOCa), or more correctly the Catalan Denominació d’Origen Qualificada (DOQ) – Rioja is the other DOCa. 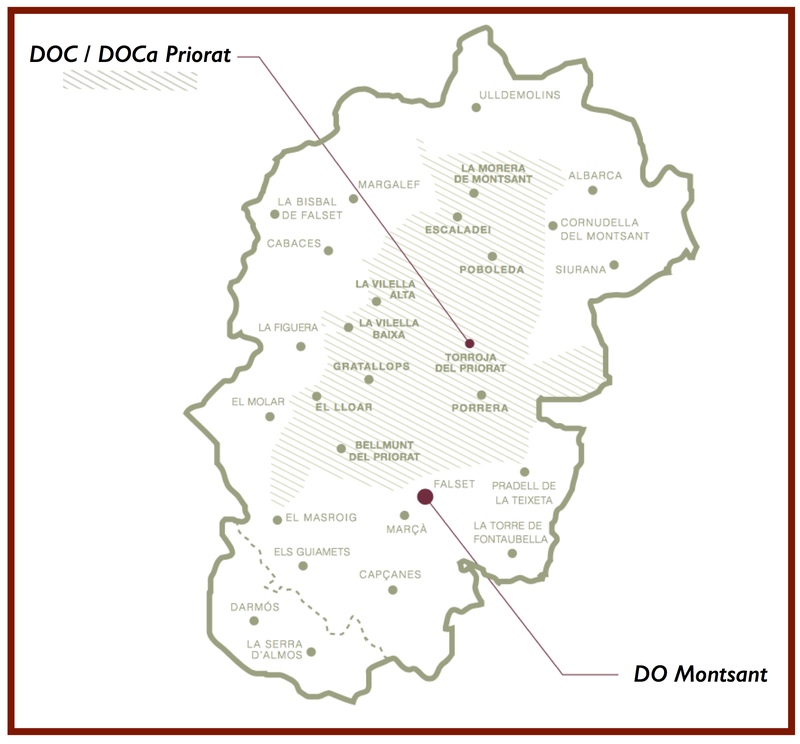 Priorat and neighbouring Montsant in a little more detail – map courtesy of Turisme Priorat. 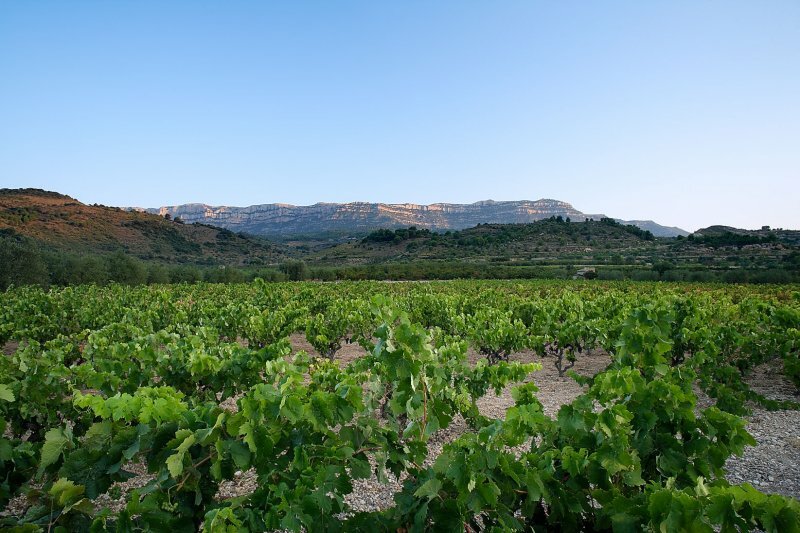 Priorat wines are mainly red, although some wonderful whites are made there, and are often eye-wateringly expensive as production is small and there is huge demand. 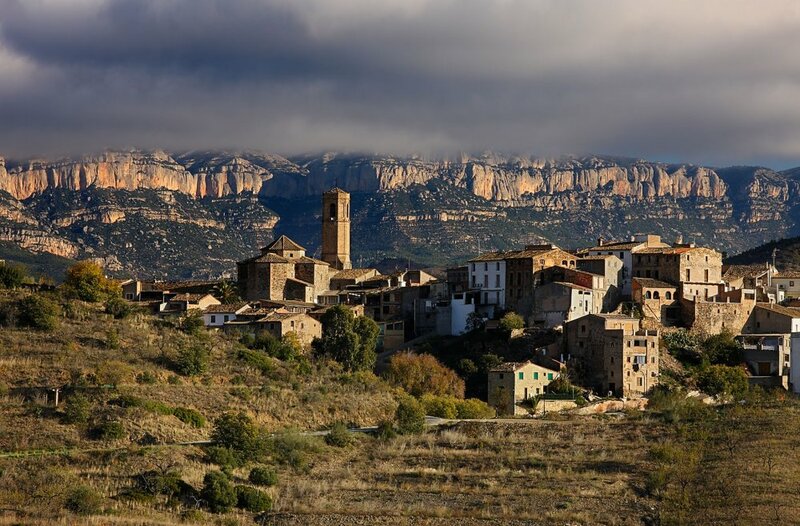 Generally speaking I would urge people to try the neighbouring wines of Montsant – this small region is equally rugged and surrounds Priorat like a doughnut, or nearby Terra Alta. However, unusually this Priorat is an absolute bargain. What’s more it is delicious, so I have made it my Wine of the Week. 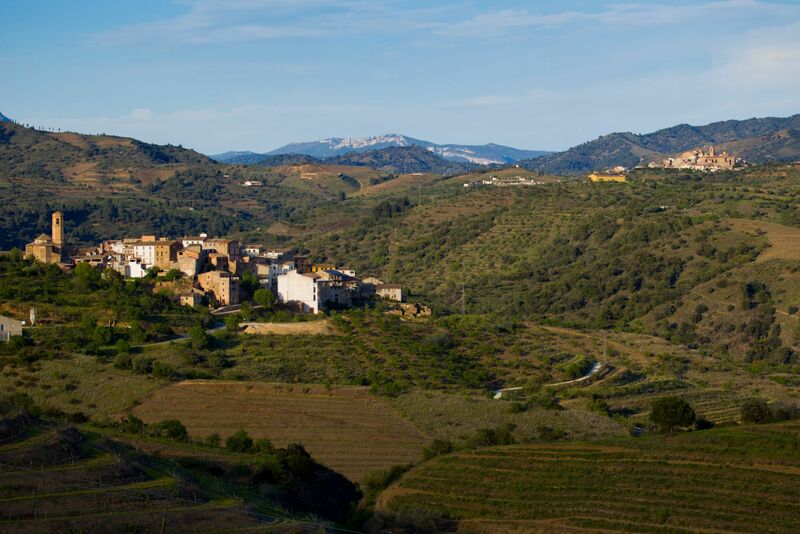 The wonderful landscape of Priorat – photo courtesy of the Consell Regulador. As so often the case with supermarket wines that are not established brands, it is difficult to get much information about this wine. The name Vinya would suggest that this is a single vineyard wine, however in truth I know almost nothing about it. I do not even know what grapes are in it. Priorat is normally a blend based on Garnacha / Grenache and often has some Carignan and perhaps some Syrah or Cabernet too, but I have no idea what this is – except that it tastes good. I do know that it’s a Crianza though, so it has spent some months in oak. Ok, so it is a bright, purple tinged garnet showing both its youth and that touch of barrel. The nose is crushed red and black fruit, fragrant vanilla and sweet baking spice, while the palate is smooth and velvety. The tannins, such as they are, are so soft and ripe and sweet that you do not notice them. The fruit is generous and upfront like a summer pudding, while a little structure is given by the spices, the vanilla oak and a touch of black pepper. The rugged terrain and bush vines of Priorat – photo courtesy of Turisme Priorat. I have to warn you, this wine just slips down and bottles empty willy-nilly. It is in the end a pretty simple wine, but very, very drinkable and delivers a great deal of enjoyment for not much outlay. It’s very versatile and soft enough to drink on its own or with easygoing dishes like sausage and mash, pies, pizza or pasta. I have a sneaking suspicion that it’s the best sub £6 red wine around right now and what’s more it gets better if let open overnight too – 87/100 points. I have marked it up a bit because it delivers such pleasure and deliciousness at a low price. Perhaps it doesn’t exactly show you very much about Priorat, but it is a very nice glass – or 3 – of wine. If you are after trying Priorat’s more ambitious wines then a good starting point could be the rather lovely Salmos made by Torres at their relatively new, dedicated Priorat winey. It is a legal requirement that Priorat wine must be made and aged within the boundaries of the DOQ / DOCa. This wine on a completely different scale and is a terrific example of what the region does really well.